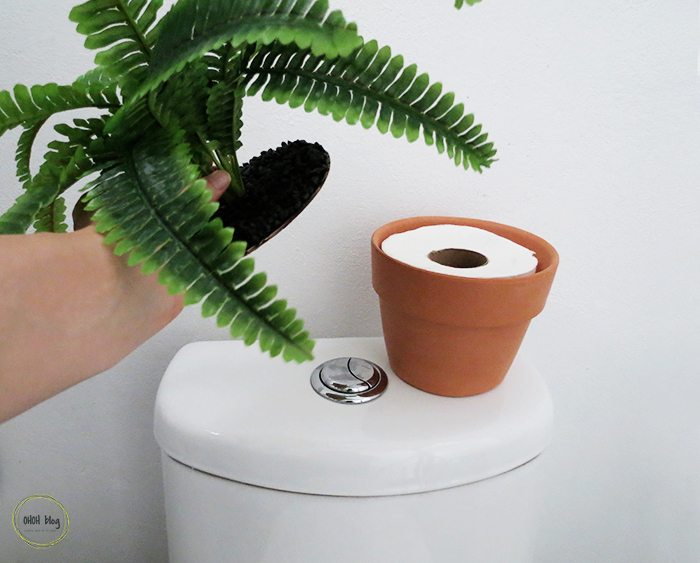 This fern hide a secret…I remember that my grand-mother has (and probably still have) a fabric hat to hide the extra toilet paper roll in the toilets. 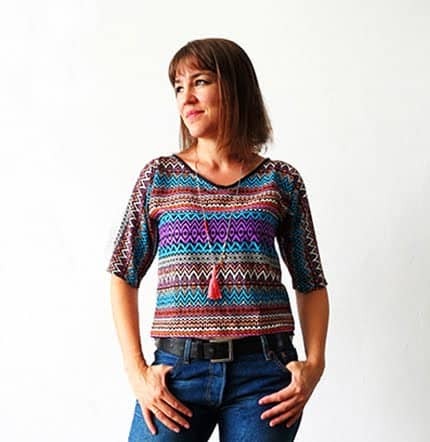 It was made in the same fabric as the curtains and the wallpaper, a little kitsch but kind of cool also. 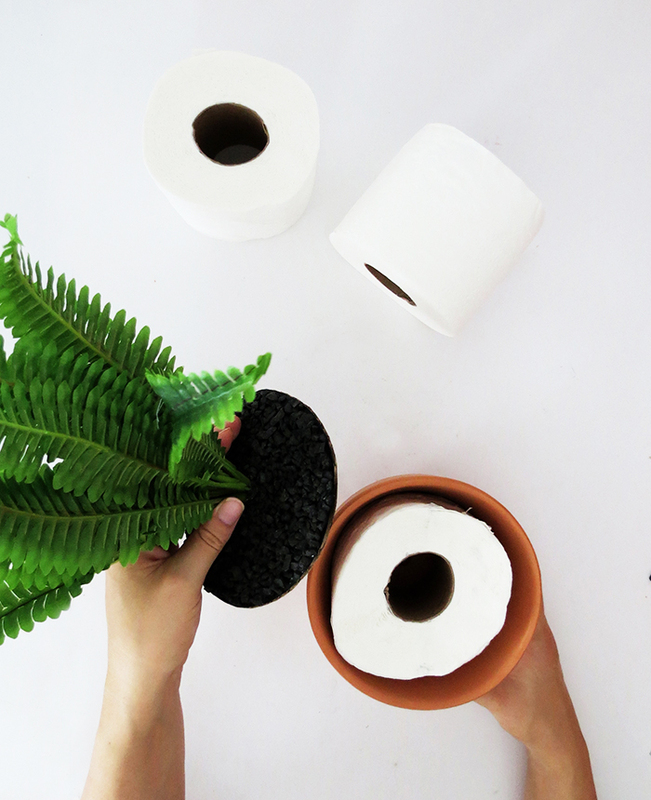 So as I don’t like to see toilet paper laying around, I decided to make a modern version of it, hiding the paper under an artificial fern! 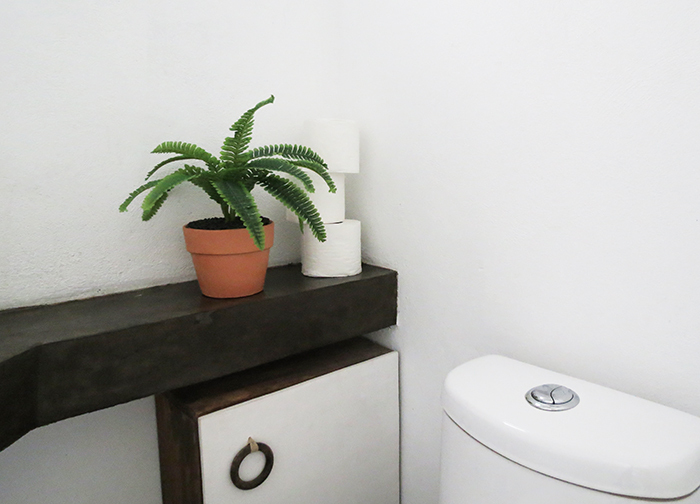 I guess this project is very kitsch but it’s kind of fun to hide the toilet paper in a planter! 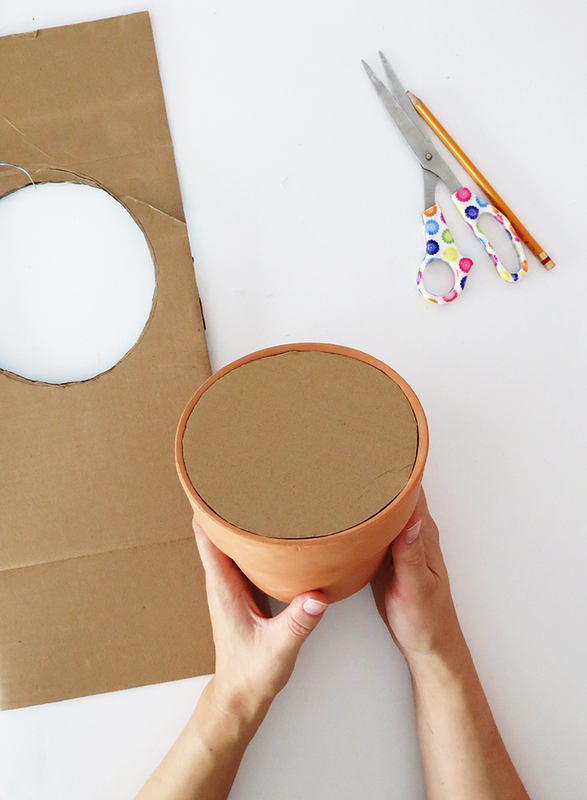 Material you need: A planter (big enough for a paper roll), some cardboard, some small gravels, an artificial plant, paint, white glue, glue gun, scissors, and cutting pliers. 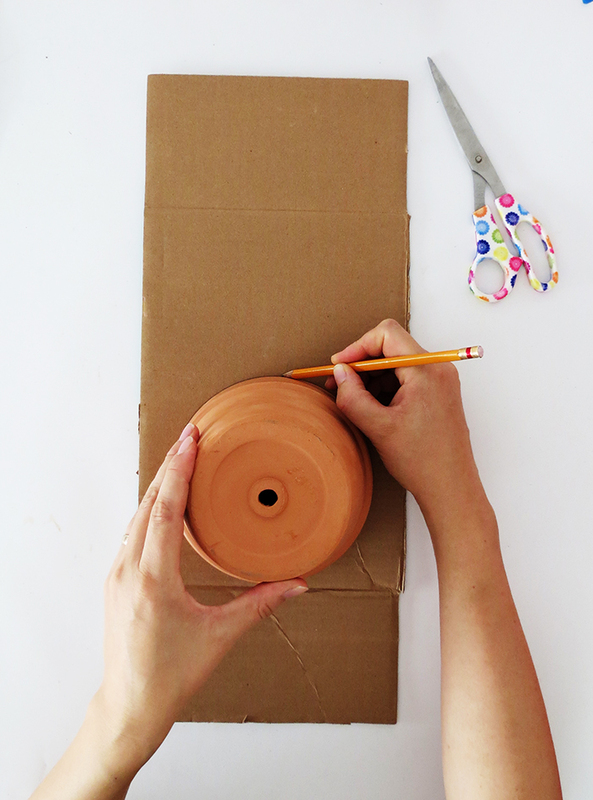 Place your planter upside down on the cardboard and report the circle shape on it. 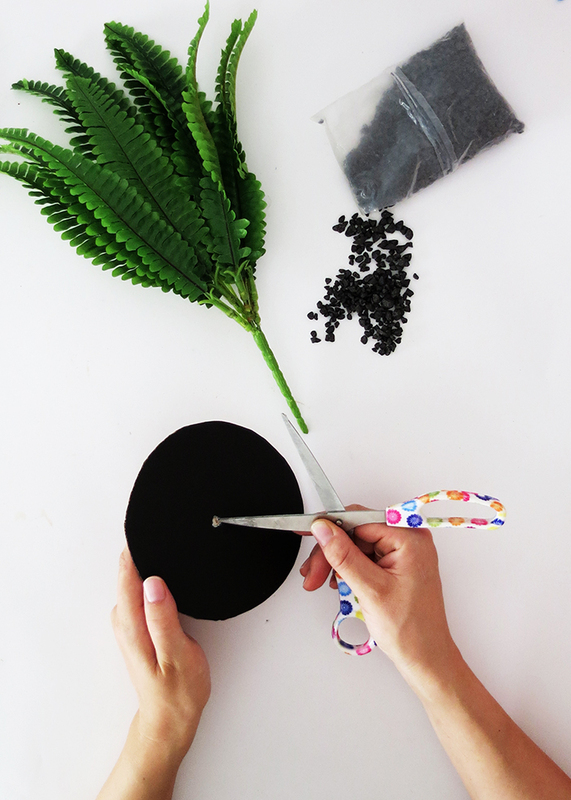 Cut the circle slightly smaller than the circle shape you draw. The cardboard piece need to fit into the planter. Paint the cardboard the same color as the gravels you will use to simulate the soil. I choose black, but it will work in any natural shade. 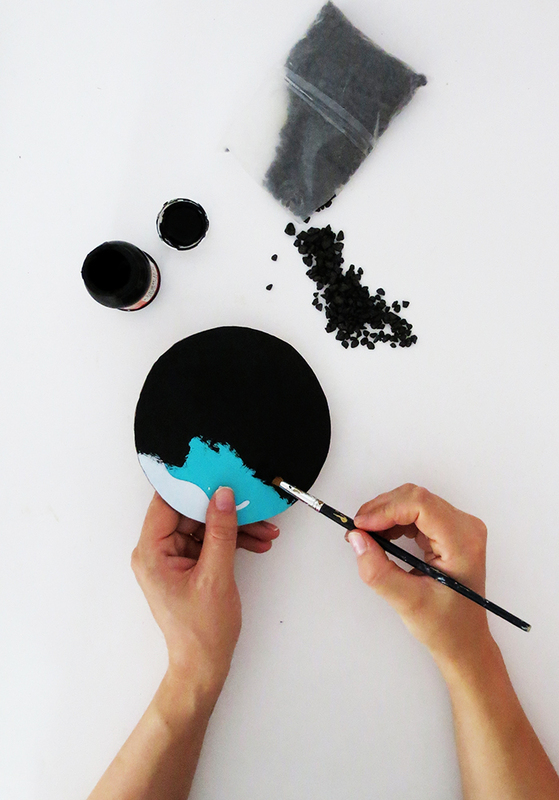 Once the paint is dry, make a hole in the cardboard center with the scissors tip. Apply white glue on the cardboard and glue the gravels on it. Don’t worry, the glue will become transparent when it dries. 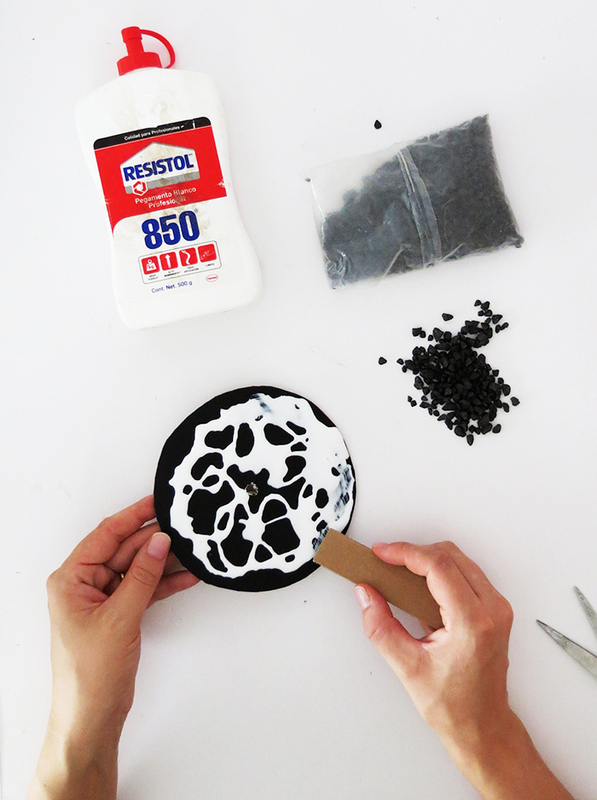 You can also use silicone glue if you prefer. 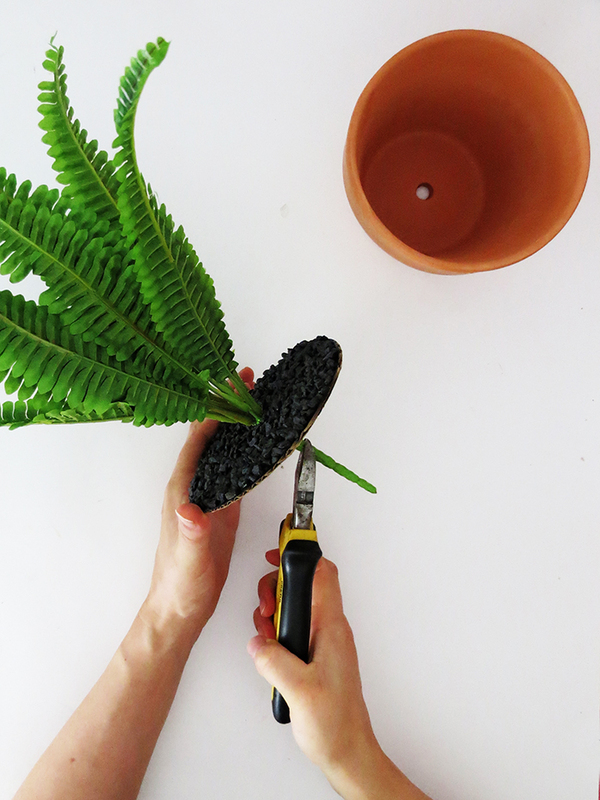 Once the glue is dry, pass the plant into the hole. Cut the stem if necessary. 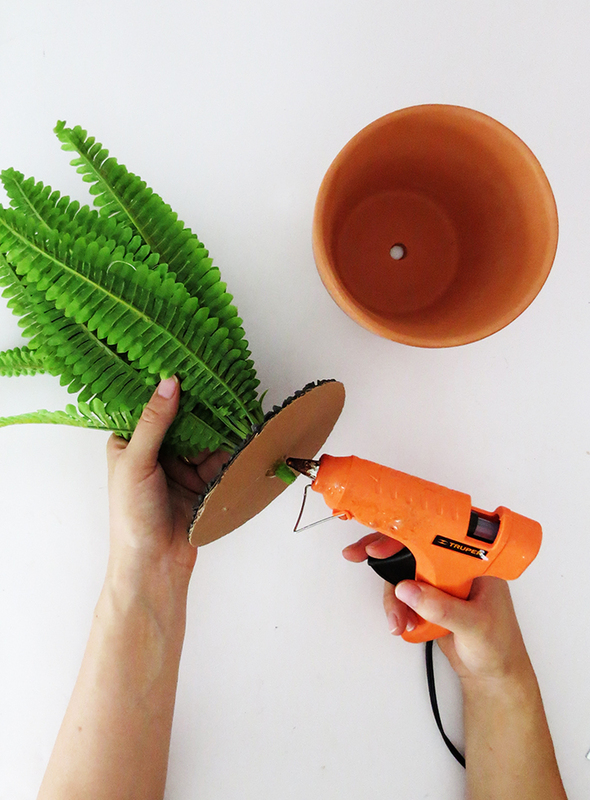 Put some hot glue on both side to fix the plant with the cardboard base. Put a paper roll in the planter, and place the plant cover on top of it! And done! 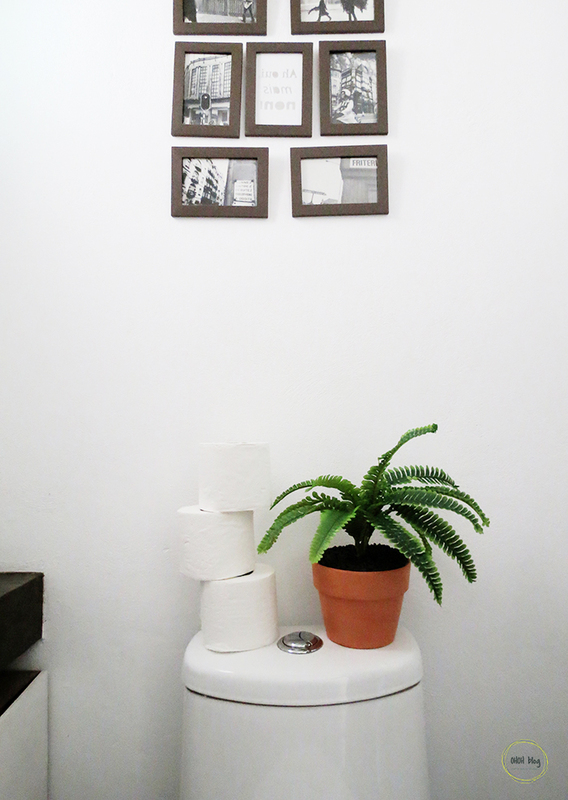 Place it next to the toilet! Previous Post How to incorporate your television in your living room? Ohhh you are right 🙂 and I'm pretty sure my husband will never find it either! Hahaha! What a cheeky idea! 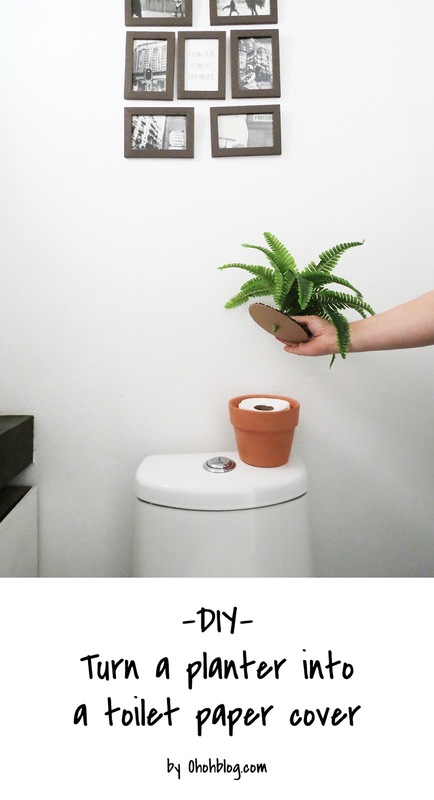 Definitely using this in our office bathroom. Thanks for the idea!